Following its launch in March, the Wireless IoT Forum has announced its founding board members, featuring BT, Cisco, Accenture and Telensa, among others. Ensuring the interoperability of solutions running throughout the entire IoT stack is one of the primary challenges associated with bringing the Internet of Things to fruition. As such, CEO of the WIoT Forum William Webb believes solving compatibility issues remains key to driving the broad scale adoption of IoT. Under the remit of the association are a variety of working groups, focussing on four core areas; including marketing and requirements; review of applications and standard APIs; connectivity and networking challenges, including configurations, security and radio access for low power wide area networks; and finally regulation. 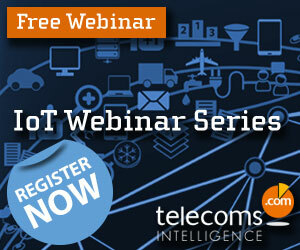 Attend Telecoms.com’s series of free webinars assessing the current state of IoT and overcoming implementation challenges. Taking place on 8th, 9th, 14th and 15th July.